Enclosure: A Spiritual Autobiography reads like a flower, growing from a bud and unfurling into a beautiful blossom. Barbara Becker is a healer, psychic, and teacher. Like many people, she may have been born with rare spiritual gifts, but discovering those abilities to reach other dimensions takes a life time of exploration. She deals with the “real” life challenges of relationships, job decisions, illness and all the rest that come with the human experience. Along the way, she senses there is much more to her than society would lead her to believe. Enclosure reveals the teachers she encountered, the many challenges experienced, and the ultimate surrender to Spirit to guide her life. As a resident of Phoenix, she took advantage of the spiritual teachers around her. From Tai Chi to Reiki, she follows her path, growing in spiritual wisdom, while also facing personality flaws to correct. This is a story of spiritual courage. One of my favorite sections recalls her trip to Peru and all the mystical happenings in that legendary land. Ultimately, she takes her place as a healer of the unseen energies being activated on the planet. She is a Light Worker working out her life mission. I enjoyed this book, taking my time with it. Writing a spiritual autobiography is not easy to organize or communicate. Barbara balances the highlights of her spiritual life with the earthly issues. As the saying goes, we are spirits having human experiences, and we all have to deal with the earth-bound human side of lives every day. Barbara Becker’s story offers encouragement for those seeking a spiritual path that goes beyond the ordinary into the extraordinary. Pick up your copy at Amazon. It’s free to Kindle Unlimited subscribers and reasonably priced to other. 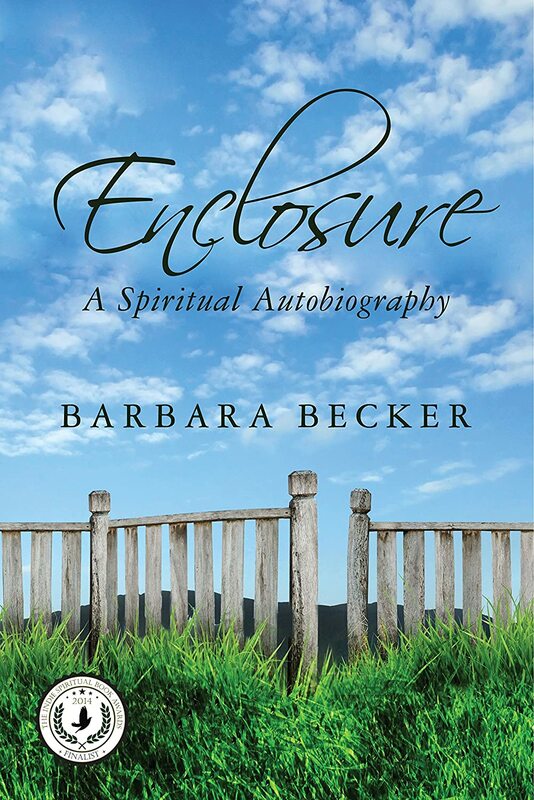 Be inspired with Enclosure: A Spiritual Autobiography, an Indie Spiritual Book Award Winner.